In the first-ever study of its type, Canadian researchers have shown that flax seed consumption reduces the risk of breast cancer by 28 percent in postmenopausal women and flax bread consumption reduces risk by 26 percent in both pre- and postmenopausal women. These results indicate that flax seed and flax-containing breads may be simple but effective means for reducing breast cancer risk. Lignans are a class of polyphenols which have powerful antioxidant and anti-estrogenic effects, and for this reason they have been suggested as a possible preventive measure for breast cancer. 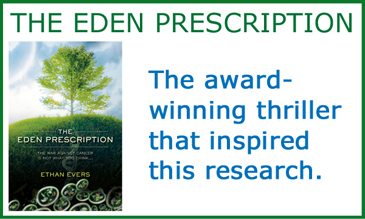 Indeed, lignans have already been shown to inhibit growth and induce programmed cell death (apoptosis) of both ER- and ER+ breast cancer cells both in vitro and in animal studies. Importantly, lignans also inhibit the ability of both ER+ and ER- breast cancer cells to metastasize by potently down-regulating the metalloproteinases MMP2, MMP9 and MMP14. Owing to the emerging high potential of flax seeds for cancer prevention, Canadian researchers recently ran the first ever study specifically to analyze breast cancer risk versus flax seed consumption. They analyzed the diets of 2,999 women with breast cancer and 3,370 healthy controls (all aged 25 to 74 years) for flax consumption. Postmenopausal women experienced 28 percent less breast cancer if they consumed at least one quarter cup flax seeds over a month, and 26 percent less cancer if they ate at least one slice of flax bread weekly. Premenopausal women saw up to 26 percent risk reduction by eating flax bread, but were not protected (with statistical significance) by flax seed. Flax lignans for breast cancer protection: how much is needed? Postmenopausal women were well protected by consuming a quarter cup of flax seeds over a month. This provides roughly 163 mg of flax lignans per month, or about 5.35 mg per day. By coincidence, this almost exactly matches the 5.4 mg daily intake that was seen as the minimum required for protection from breast cancer in a previous study. Reaching this intake level is not likely in a normal diet. A recent survey showed that women living in Western countries consume only about one mg daily of lignans. Therefore postmenopausal women may want to consider supplementing with flax seeds for optimal protection (about half a teaspoon daily would do it). Likewise, premenopausal women may want to consider consuming flax breads, which may offer them better protection than raw seeds. With this latest study from Canada, the case for flax seed as a preventive measure against breast cancer is stronger than ever. And more data is on the way. 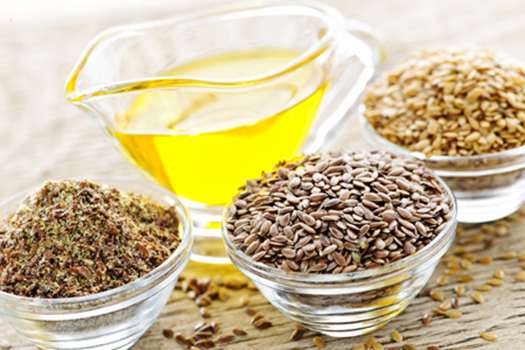 There are currently three ongoing clinical trials testing flax (seeds or lignans) against breast cancer. Until those results come out, it’s good to know that consuming even small amounts of flax seeds (or breads) regularly may offer significant protection against breast cancer.